Get Your HOA Ready! Spring is Coming! - Advanced Management Inc. When you live in Florida, you may not think that spring is a big deal. After all, there’s no thaw to enjoy and the birds have been singing in the trees all winter long. However, it’s still a good idea to do some spring cleaning around your HOA. Here are just a few things that you should check in the spring to make sure they are working well for the coming warmer seasons. Even though you probably haven’t seen snow this winter, you’ve likely suffered through a long rainstorm or two. These can cause high water and even flooding that can leave debris scattered across playgrounds, basketball courts, and other public areas in your HOA. Take the time to clean this up so that your residents can enjoy these areas again once the storms are over. You may want to bring in professionals to do this as it can be a messy, muddy job. Do you have a clubhouse or other common areas that require air conditioning? Even if you’ve been running it off and on throughout the winter, it’s a good idea to have it checked every spring. Since summer is the highest-use time for these machines, you want to make sure that they are well cared for and in great working order before your members really need them. Make sure your sprinklers are running well. If they aren’t, get someone out to fix them now before summer’s heat demands their more frequent use. Make sure that all of your grassy areas are covered and that none of your sprinkler heads are watering the sidewalk or the street. You may also want to have someone out to check for leaks in the pipes. Find some beautiful annuals that your residents will love and fill your community’s flower beds with them. This allows you to plant different plants each year, for a continually changing burst of color that your residents will love. It’s also a detail that won’t go unnoticed or unappreciated. If tree branches have come down in wind and rainstorms, get them cleaned up now. 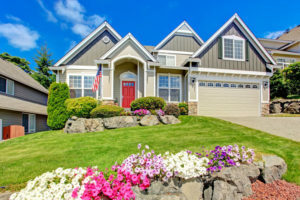 Trim your trees and any bushes on the property, so your whole HOA looks good. You’ll want to keep this up all summer long, so find a good landscaping company to handle the job. Make sure they know exactly what you and your residents expect so nothing gets butchered or cut sloppily. If you have a community pool or two that have been shut down for all or part of the winter, it’s time to get them back up and running now. If you’ve kept them open, it’s still time for annual maintenance. Ensure that swimming will be safe for everyone by hiring aquatic professionals for this job. When you care for your community, it shows! Get residents involved where appropriate so they can take some ownership of the community, too.